Those of you who follow me on Instagram or Facebook, know that I had gone on a weekend trip to Goa with my girlfriends, a couple of months back! I have been trying to write a travelogue on Goa since then...but unfortunately, too much happening in my life right now - what with work for my brand Howrah Bridge, travelling between Kolkata & Bangalore every month, freelance content writing projects, and loads of other stuff - so, I haven't been able to get down to writing those posts on what all we did in Goa! Today, I got a bit of time on hand, so thought of penning down at least one of my much-planned posts on Goa. There's hardly anyone out there who doesn't get excited by the name of this place...and who haven't spent hours planning at least ONE trip to Goa with his or her best friends! This is one of the most touristy places in the country and a lot of you have been there more than once too! But, on this trip, we found out (and ate at) some really amazing eateries in Goa...which, I feel, are must-visits when you are on a trip to this popular seaside town. Each of these places are notable in their own ways and warrant at least one visit by any tourist in Goa. 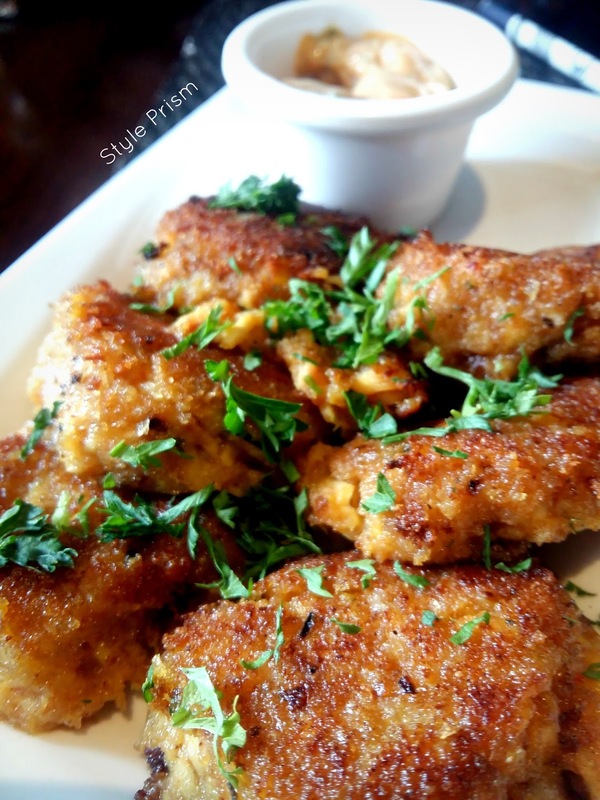 So, here are some places to eat in Goa that you must include in your bucket list whenever you plan a trip to Goa! This place was, hands down, one of the best restaurants I have ever eaten at! Zomato recommended this eatery highly, and so, we went there for lunch one lazy afternoon. Surprisingly, everything - from the food to the cocktails to the artisanal coffee to dessert - was impeccably yummy! 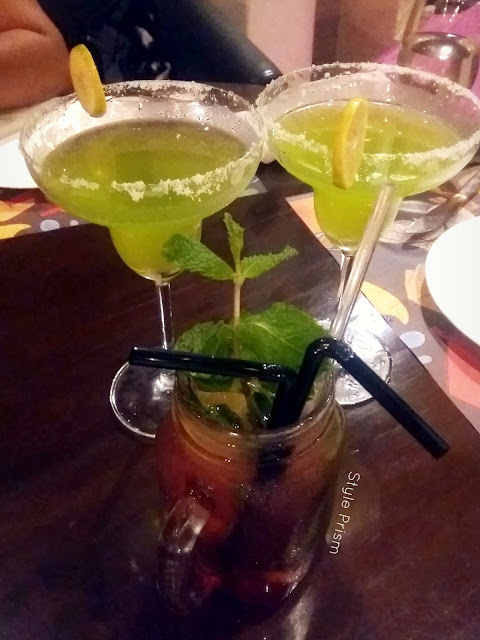 There was an interesting array of hand-crafted cocktails, and my paan-flavored drink was unique & refreshing. 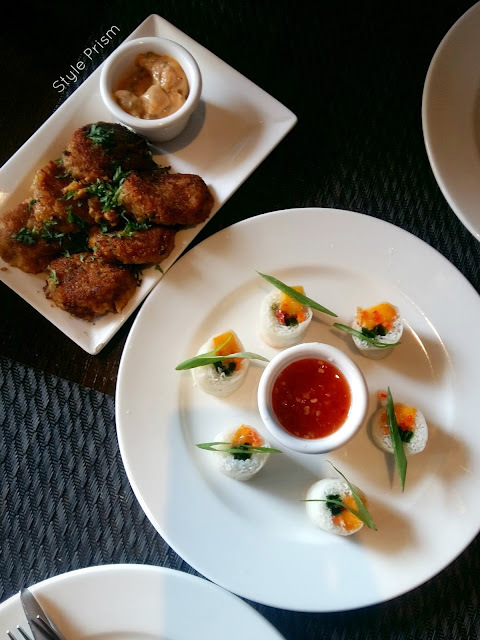 We had a tough time choosing from their wide range of entrée, but the waiter recommended the fish cakes and the mango-sticky rice rolls, both of which were amazingly tasty. I can easily say that those were the yummiest fish cakes I've ever had, and I can go back to Goa just to have this dish at this place! For main course, I had a grilled chicken steak which was served with bread. It was quite flavorful and filling. 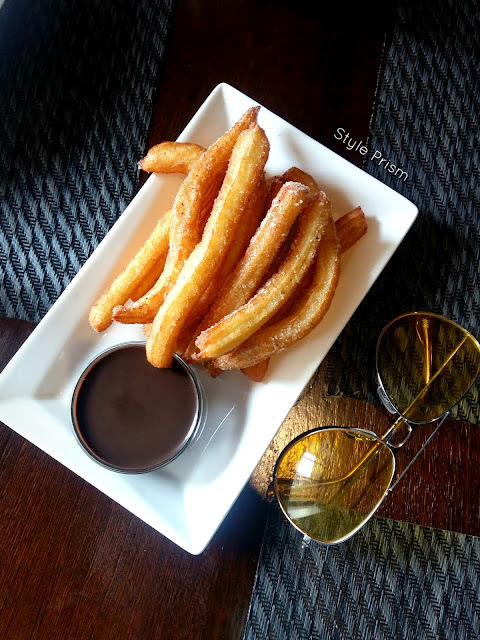 For dessert we had some yummilicious churros served with hot chocolate sauce! 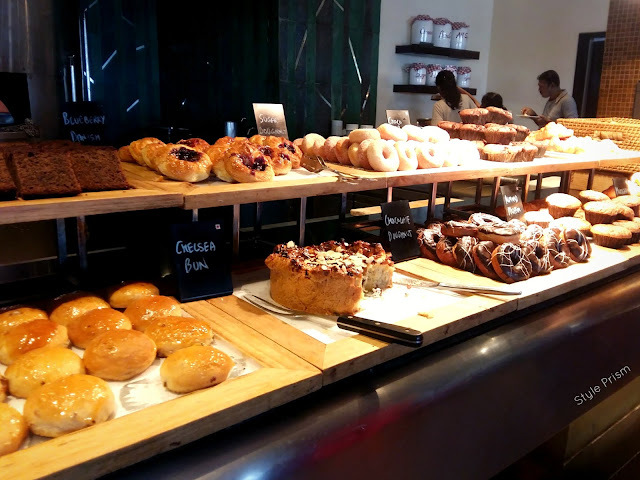 (Am drooling just thinking about them), and my friends had artisanal coffee which they said were perfect in flavor & richness. All in all, I would definitely recommend anyone travelling to Goa to have at least one lunch or dinner at the BSB. 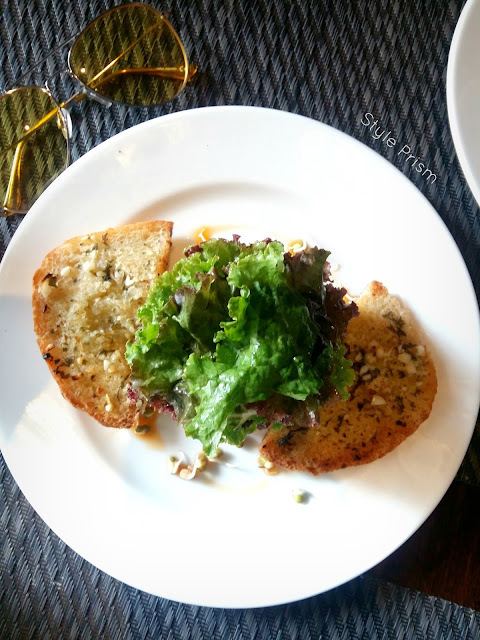 It's slightly expensive (not extravagant, but might seem high-priced if compared to other local casual eateries), but, trust me, the food is totally worth it! If you want to have a taste of authentic Goan cuisine, in a relaxed, cozy ambience, then Soi is the place for you! With 2 outlets - one in Panjim and one in Candolim (which is the one we visited) - this casual dining eatery must be on your list when in Goa. We had chanced upon it on a Saturday night when a big crowd and heavy rains spoiled our chances of getting entry in a nearby nightclub, and we thought we might as well have a nice dinner. The place looked quaint and cozy, with dimly-lit interiors (hence, the grainy mobile pics #facepalm), quirky painted walls & props, and comfy seating arrangements. We started off with some cool cocktails which were quite decent and refreshing. 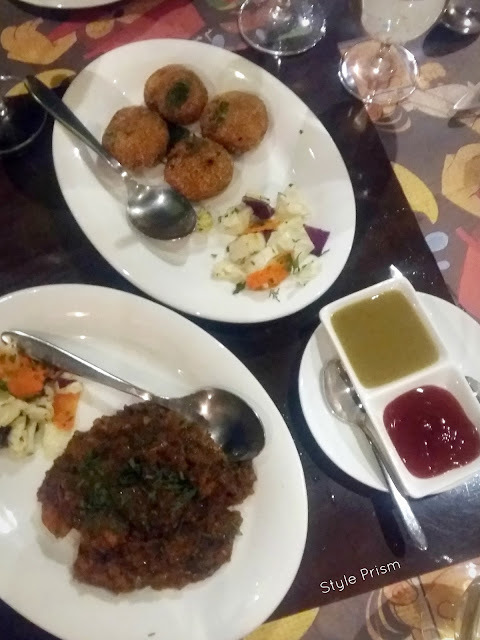 The starters of Chicken Cafreal and Veg Balchao Chops were quite spicy, yummy and full of typical Goan flavors. 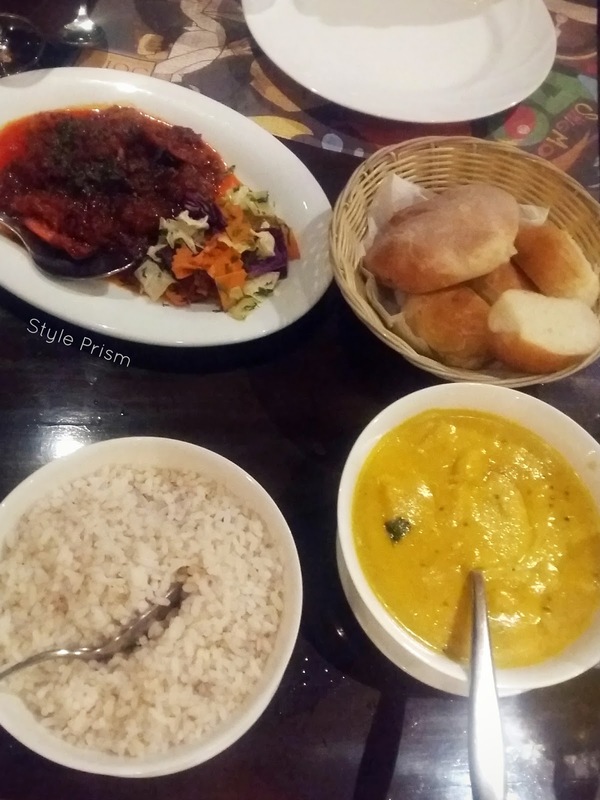 For main course, we ordered a veg gravy, a chicken side dish (Chicken Xacutti, I think), local Goan rice and a bread basket which had three types of freshly baked breads - Poi, Katrey & Pao. 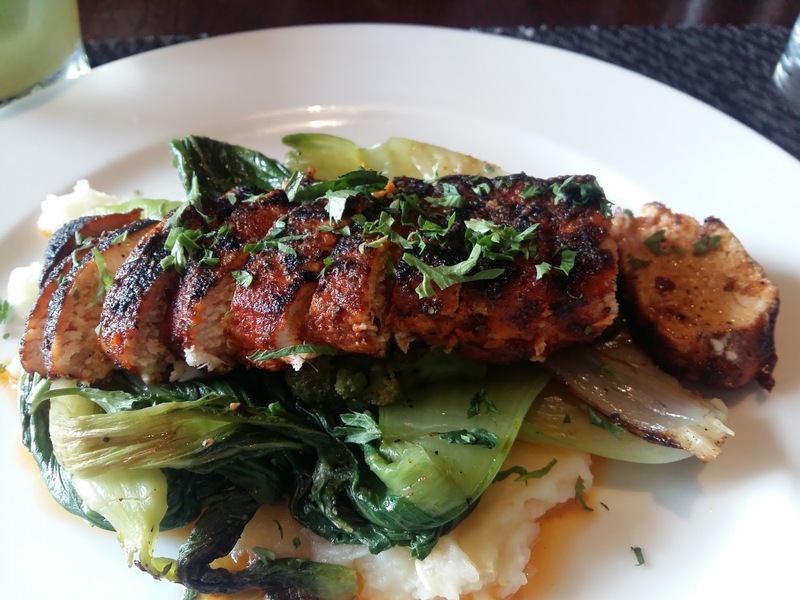 The food was sumptuous, filling and satisfyingly authentic in taste & flavor. But, if you are someone who can't have spicy food, then I suggest you take the waiter's recommendation, as most dishes of the Goan cuisine contain local spicy masalas. We came across this place when we were searching for an eatery to have lunch at, while sightseeing around Old Goa. After seeing good ratings for the Ritz Classic on Google & Zomato, we instructed our driver to take us there. And we were pleasantly surprised when he, too, enthusiastically informed us that this place is indeed very good! It was a Sunday, and the place was quite crowded, confirming the fact that it was indeed a popular joint. We ordered a few North-Indian dishes which were quite nice and tasty. But what proved to be the best part was the authentic Fish Thali that we sampled at the Ritz Classic. 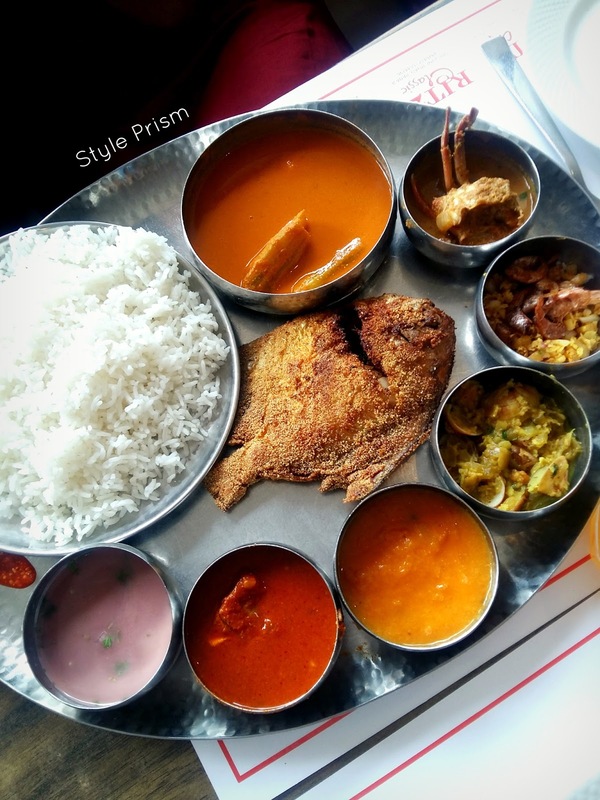 If you want to have fish thali in Goa, I would definitely recommend this place! The whole spread - including crab, prawns and a fried fish - was delectable and a must-have indeed! Well, the best part about our lovely Air BnB in Goa was that the Marriott property was bang opposite to the complex that housed our rented flat! Needless to say, we went there for quite a few meals (read, whenever we felt too lazy to go further)....but the one meal that I would definitely recommend you all to try is their breakfast buffet! 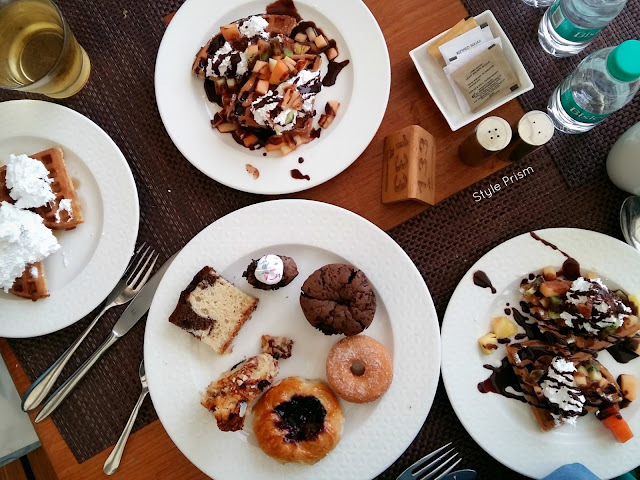 The huge breakfast spread at the Goa Marriott Resort & Spa was as sumptuous and as delicious as it looks in my pictures, and we couldn't have asked for a better last day breakfast in Goa! 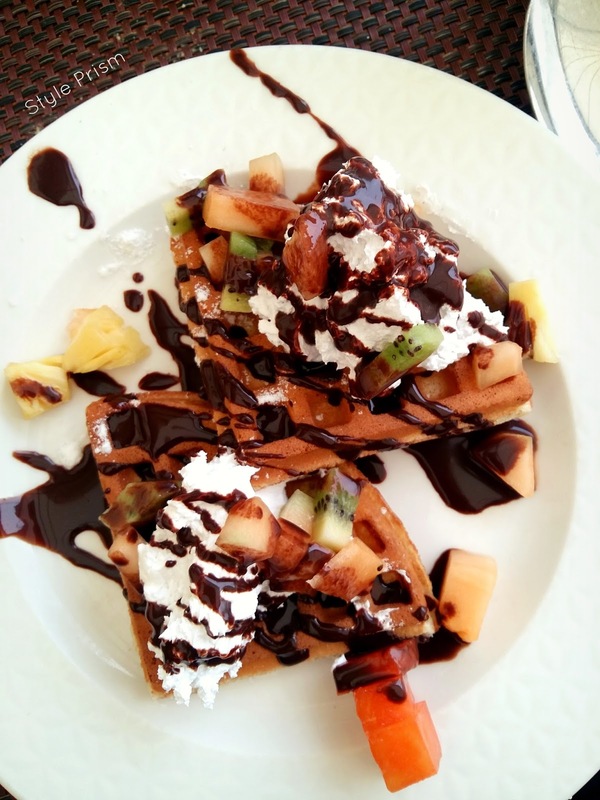 We were spoilt for choice and it was super-hard to choose from a wide range of pastas, breads, eggs, South Indian fare, waffles and of course, a never-ending variety of confections! The baked goods were my fav picks, and everything - from the croissants & danishes to the donuts and cakes - was full of freshly-baked goodness!!! 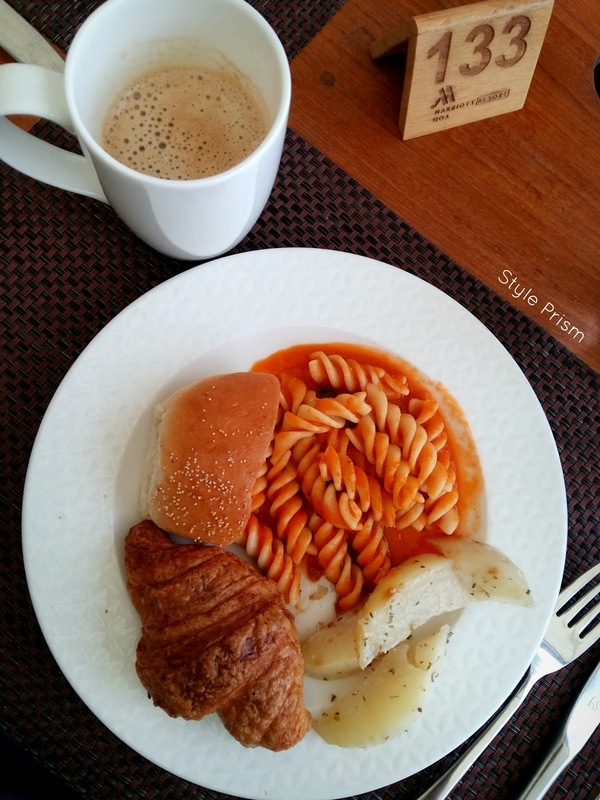 All this, coupled with a lovely view of the seafront, makes for the perfect breakfast buffet you'll ever have! 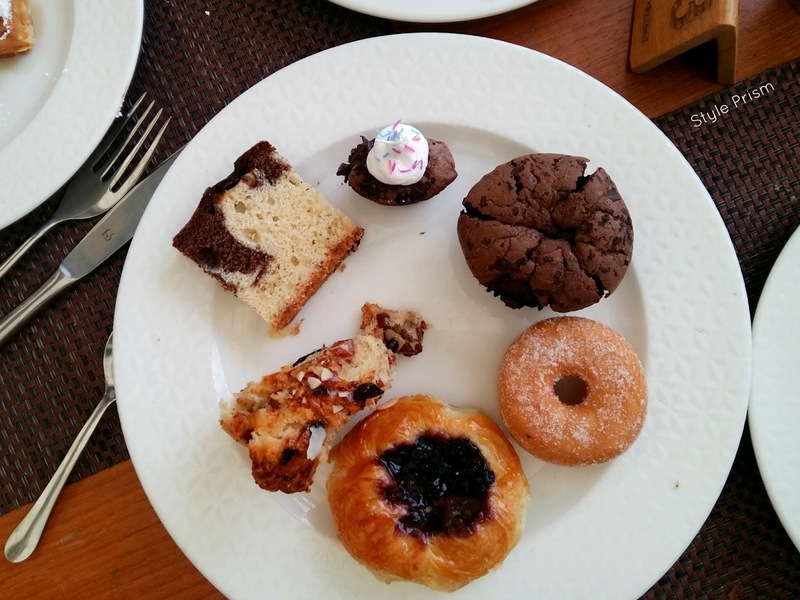 This goes out specially to those, like me, who have a big sweet-tooth! You have to try out the breakfast spread at the Goa Marriott for the ultimate sweet indulgence! 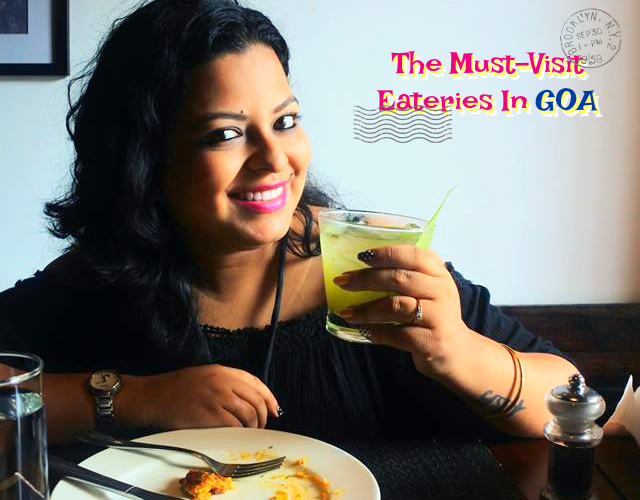 So, whoever is planning that exciting trip to Goa next, do check out these places, if you want to hog on some yummy food!!! Trust me, you won't be disappointed! Let me know in the comments below, if you want to know anything else about my holiday in Goa! You're making me very hungry!